Chipmaking giant Broadcom Inc (AVGO) is scheduled to post its fourth-quarter earnings after market on Dec 6. 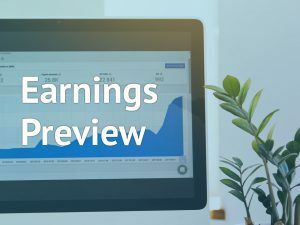 The Street expects earnings of about $5.55 per share on revenue of $5.41 billion. In the previously reported quarter, growing demand for data center products, pushed earnings up sharply beating estimates. The impressive results posted in September triggered a stock rally and shares of the chipmaker gained about 3% following the earnings announcement. Last month, rival Qualcomm (QCOM) posted results as it swung to a loss of 35 cents per share in the fourth quarter from a profit of 11 cents per share a year ago. The giant was primarily hurt by a patent battle with Apple (AAPL), as well as termination charges related to the discontinued acquisition of NXP Semiconductors (NXPI). 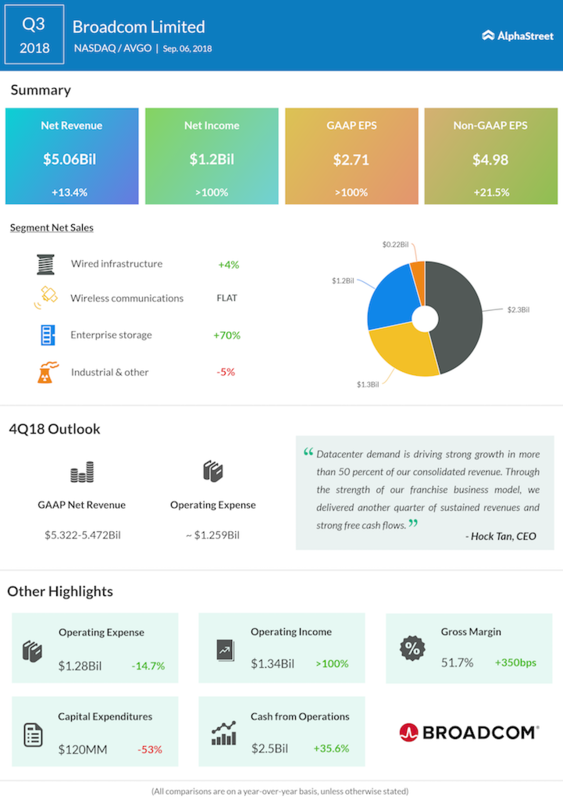 Another peer Intel (INTC) reported a 42% jump in earnings for the corresponding quarter, back in October, as strength across businesses and strong customer demand for Intel platforms drove revenue higher by 19%. The results exceeded analysts’ expectations, following which, the stock jumped over 3% in the after-market session. This year’s highlight was the Trump government squashing a possible merger of Broadcom with Qualcomm, a hurdle that triggered the company changing base from Singapore to the US — with its current co-headquarters in San Jose, California being the only headquarters for the company. By transferring its domicile to the US, Hock Tan’s company resumed deal-making plans without the obstacles from the CIFUS — the US committee that evaluates the cross-border deals. Apart from $5.9-billion Brocade Networks acquisition, Broadcom in July also announced that it would buy CA Technologies (CA) for $18.9 billion in cash. Broadcom shares hit an all-time high in November last year as they continued the steady ascent that started several years ago. However, the stock lost momentum after hitting the peak and dropped about 17% since the beginning of the year. With the trade war heavily affecting the tech sector, especially the semiconductor industry, all eyes would be on how Broadcom is looking to navigate fresh retaliatory tariffs imposed by various countries in reply to the Trumo regime.